The wireless industry relies on EWA. We address complex spectrum issues with the technical and business resources to do in-depth analysis, make solid recommendations, provide useful tools and create innovative solutions. We pride ourselves on meeting your project's budget and time line requirements. Our clients include the most established and well-respected companies in the U.S. and we advise on emerging wireless technologies. EWA experts can advise your organization on the most efficient spectrum and system requirements for your voice or data project. 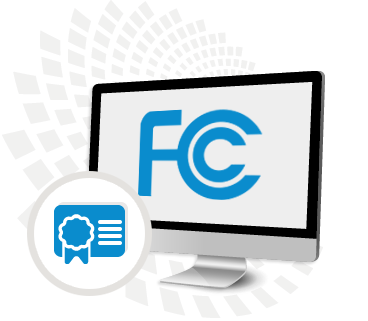 Rely on us for the licensing and frequency selection recommendations to ensure your successful deployment. EWA has the experience and contacts to guide you through the policy and regulatory environment involving spectrum resources. Below are the most commonly sought services from EWA, now available online via Cevo®. A schedule of all services from EWA may also be found in the Resources section of this site. Contact us for more information. Trusted by more wireless sales and service providers and major enterprises than any frequency coordinator, EWA offers frequency selection and FCC application processing services for Industrial/Business and Public Safety in the 30 to 900 MHz bands. We develop and verify Public Safety and Industrial/Business license applications, from FCC Registration to the Required Construction Notification. Need supporting documentation for your unique requirements? 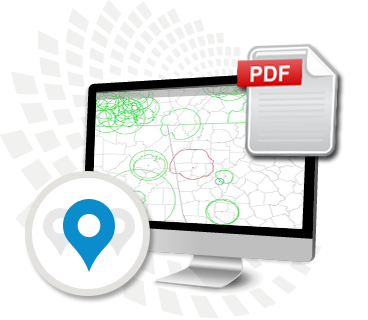 Let EWA help you prepare contour plots, terrain models, studies, and more. Curious who's been licensed in your market area? A sales prospect or competitor, perhaps? 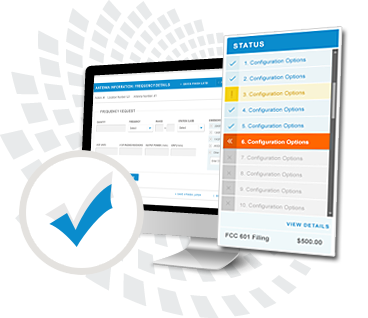 Want to know if a newly licensed system might interfere with you or your customers' system? What about exclusive channels (FB8's) - would you like to be notified when they become available? As a licensee, free your staff from bureaucratic hassles so they can do more for your business. 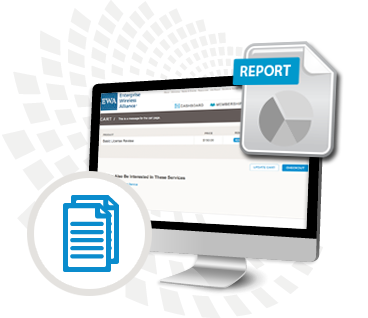 Avoid fines and other expenses due to FCC license renewal, construction notification and rule compliance problems. Looking for wireless solutions? Does your company provide them? Turn to EWA. Businesses and state/local governments: You know that wireless technologies and applications can provide the results you’re looking for, but which vendors and solutions are right for your unique needs? Turn to a trusted source: the Wireless Solutions Center from EWA. Buyers will research and find suitable vendors. Vendors, contact us now to reserve space, or visit the site to see how it works.